While knowing the ins and outs of HVAC systems is our job at Tippetts Mechanical, it’s good for you to know the basic parts of your air conditioner and what they do. In our last blog, we discussed the air conditioner unit and the ductwork, the two most basic components of your system. 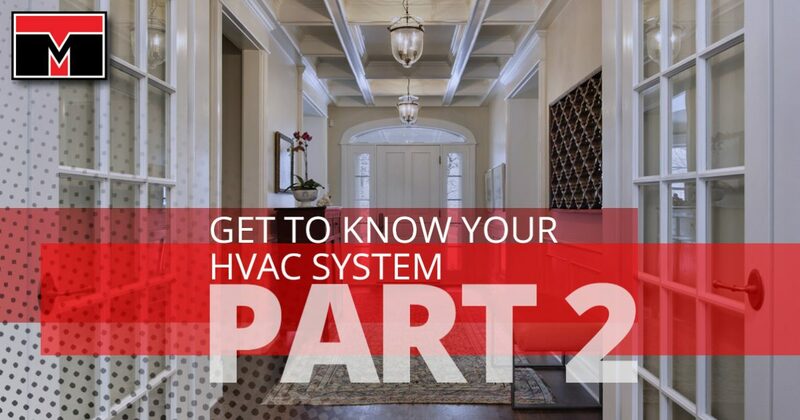 In today’s blog, we’re going to introduce other parts of your HVAC system. Without refrigerant, your air conditioning unit would just be a blower. This substance runs through a coil that cools the air. It is dangerous and not to be handled by anyone other than a licensed professional. Our experts are certified and can safely address anything that has to do with your air conditioner’s refrigerant. When your HVAC unit pulls air into itself in order to cool it, it also pulls in a bunch of dirt, dust, and contaminants. Filters keep the muck from reaching the air conditioning unit itself, where they can clog it up and wear it down faster. Many HVAC systems will contain filter dryers that make sure all the air hitting the cold coil in your unit is moisture-free. Filters are generally located where they’re easy to access because they need to be changed out regularly. This all-important part of your air conditioner cycles the refrigerant and ensures that the air that enters cools down. It includes a coil and fins for the best surface area. Generally, it’s best for these coils and fins to be made of a single type of metal like aluminum or copper. 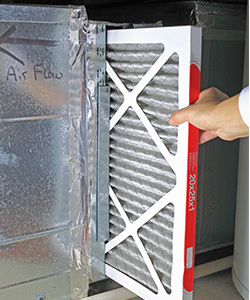 These mechanical devices in your ductwork help control the balance of heating and cooling pouring into your rooms. They should never be installed close to the grilles. Instead, they should be carefully installed and balanced by one of our qualified technicians. We know how to use the special tools for adjusting dampers, ensuring you get an effective balance. HVAC systems are made of carefully-installed components, and at Tippetts Mechanical, we have the experience to understand the system in your home or business. Whether you depend on window units or more than one outdoor unit, we can absolutely help you. We understand how important your air conditioner is to your quality of life, and we are proud to help keep you cool. When you call our air conditioning service, you access courteous, punctual specialists who will always treat your property with respect. Contact us in Nevada for an appointment today!